Pedro Comesaña-Alfaro received the Telecommunications Engineering degree (with specializations in both Computer Science and Communications) from the University of Vigo, Spain, in 2002, and the Ph.D. degree on Telecommunications Engineering from the same university in 2006; he also holds a five-year degree on Mathematics. His Ph.D. thesis was awarded by the Spanish Official Institute of Telecommunications Engineers as the best Ph.D. thesis in Security and Defense in 2006. He conducted research stays at the Technische Universiteit Eindhoven (The Netherlands, 2004, 6 months), University College Dublin (Ireland, 2006, 6 months), Università degli Studi de Siena (Italy, 2007 and 2008, 10 months), University of New Mexico (USA, 2010 and 2011, 12 months, being sponsored by the Prince of Asturias Endowed Chair), and State University of New York at Binghamton (USA, 2015, 4 months). 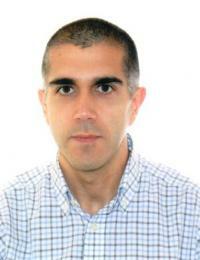 Since 2012 he is Associate Professor in the School of Telecommunications Engineering, University of Vigo. His research interests lie in the areas of digital watermarking, information security, multimedia forensics and digital communications. He is co-author of more than 50 papers published in international journals and conference proceedings, holds a triadic patent on the field of video-surveillance authentication, and several European and American patents on multimedia security. He received the Best Paper Award of the IEEE Workshop on Information Forensics and Security (IEEE-WIFS) in 2014, and the Best Paper Award of the International Workshop on Digital-forensics and Watermarking (IWDW) in 2011. He participated in the FP6 ECRYPT European NoE, and in the FP7 European Projects REWIND and NIFTy; he was also the principal investigator of several regional projects in the area of multimedia security, and has signed 14 innovation projects. From November 2012 to December 2015, Pedro was member of the IEEE SPS Information Forensics and Security-Technical Committee (IEEE IFS-TC), chair of its WIFS subcommittee, and member of the Technical Directions, and Award Subcommittees. He serves as Associate Editor of the IEEE Transactions on Circuits and Systems for Video Technology, IEEE Signal Processing Letters, and IET Information Security, and as member of the IEEE SPS Student Services Committee. Pedro was Technical Co-Chair of ACM IH&MMSec 2015, Area Chair of IEEE ICIP 2015, Publications Chair of ACM IH&MMSec 2016, and Tutorials Chair of IEEE Workshop of Information Forensics and Security 2012 (WIFS12). Pedro has reviewed over 350 journal papers, and is also a frequent reviewer of the most important conferences on signal and image processing, and multimedia security. From February 2015 Pedro is an IEEE Senior Member. Ph. D. Telecommunication Engineering, 2006, University of Vigo, Spain. Ingeniero de Telecomunicación, specialized in Communications (Signal Processing and Antennas), 2003, University of Vigo, Spain. Ingeniero de Telecomunicación, specialized in Computer Science (Telemática), 2002, University of Vigo, Spain. Licenciado en Ciencias Matemáticas (5 years Degree on Mathematics), 2010, UNED (Spanish Open University), Spain. Best Paper Award of the IEEE Workshop on Information Forensics and Security (IEEE WIFS), 2014. Best Paper Award of the International Workshop on Digital-forensics and Watermarking, 2011. Award of the Spanish Official Institue of Telecommunication Engineers (COIT) to the best Ph. D. Thesis in Security and Defense, 2006. Best Ph. D. Thesis Award (Premio Extraordinario de Doctorado), University of Vigo, 2006. Best Graduate Student Award (Premio Extraordinario Fin de Carrera), University of Vigo, 2002. State University of New York at Binghamton, USA, 2015. University of New Mexico, USA, 2010-2011. Sponsored by a Prince of Asturias Postdoctoral Scholarship. Università degli Studi di Siena, Italy, 2007-2008. University College Dublin, Ireland, 2006. Technische Universiteit Eindhoven, The Netherlands, 2004. Sponsored by Fundación Pedro Barrié de la Maza. Gabriel Domínguez Conde: Flat fading channel estimation based on Dirty Paper Coding, January 2016.